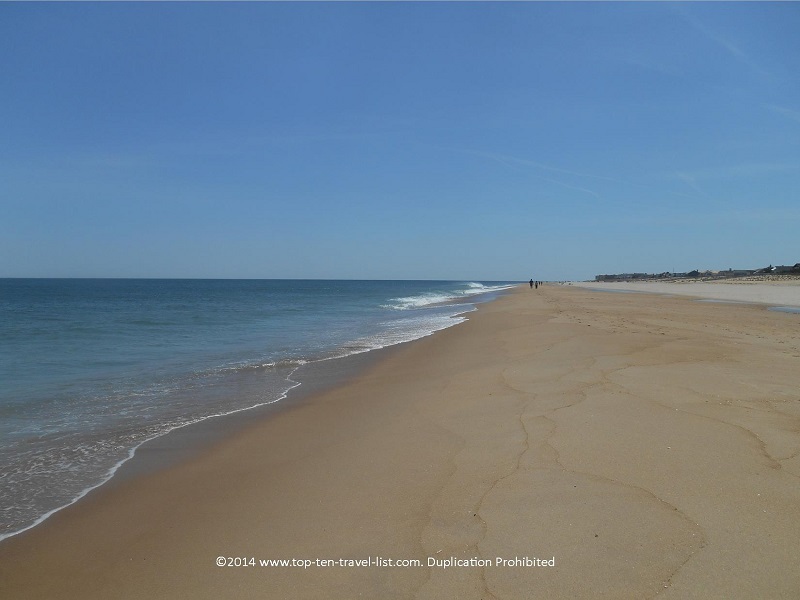 8 Great Summer Beach Destinations - Top Ten Travel Blog | Our experiences traveling throughout the US. A great beach vacation entails much more than sunny skies and gorgeous beaches. Sure, beautiful beaches with smooth sand and crisp water are wonderful, but what really makes a great beach vacation are those destinations that offer more outside the beach. The following 8 destinations all offer beautiful beaches, in addition to many recreational, cultural, and entertainment attractions. You will never run out of things to do when planning a trip to any of these fantastic destinations. 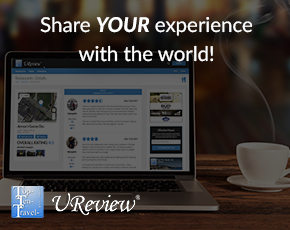 Enjoy the list and be sure to add some of your favorite destinations in the comments below! South Carolina is home to some of the most beautiful beaches in the country. 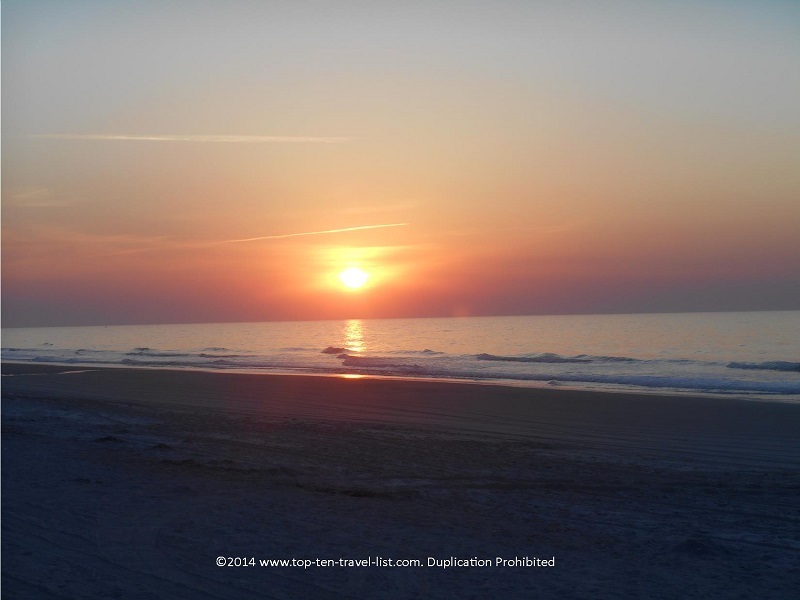 With over 60 miles of continuous world class beaches (known as The Grand Strand), South Carolina is an easy pick for a fun-filled summer vacation. 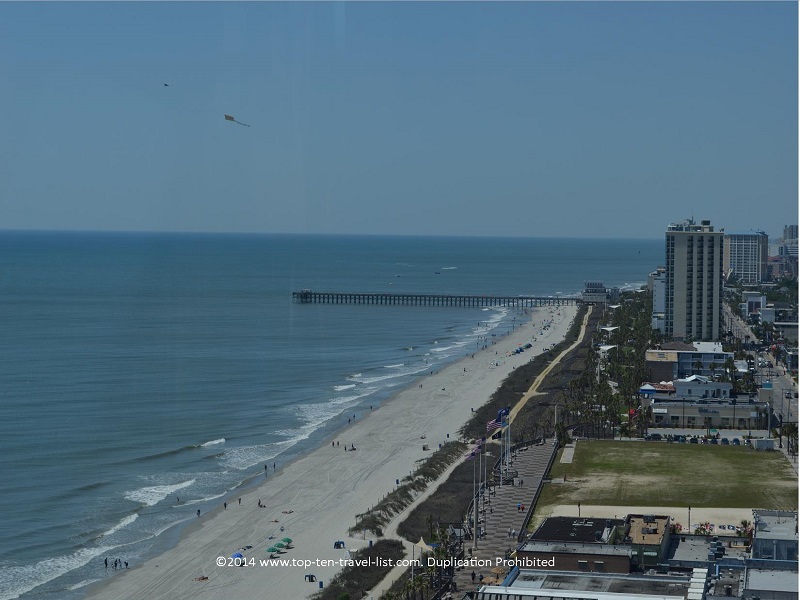 Myrtle Beach, one of the best places to vacation on the Grand Strand, and also one of the most popular beach destinations in the US (with over 14 million visitors per year), offers plenty of activities and lodging options for every budget and personality. 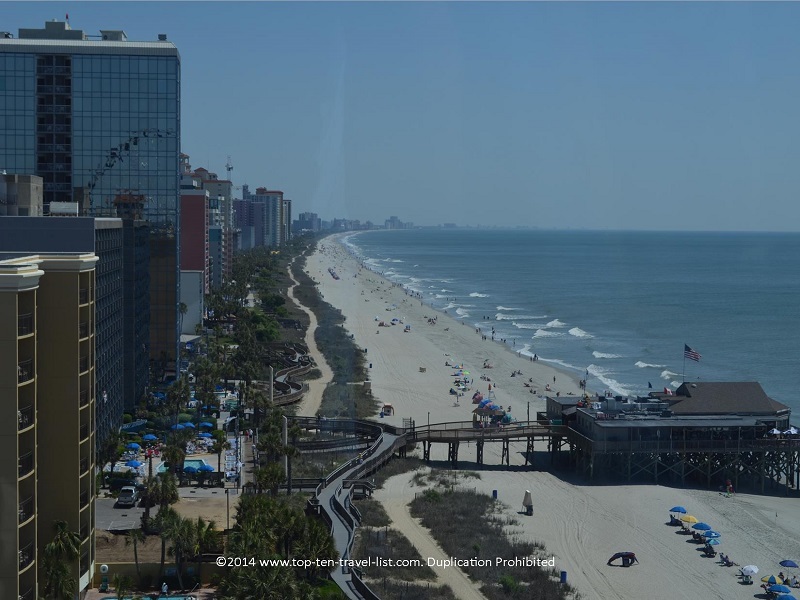 Beautiful sandy beaches, gorgeous waterfront resorts, and tons of activities (you will see the billboards as you arrive advertising Myrtle Beach as a destination with “over a million things to do”). You will soon find that this slogan rings true with more than enough activities and attractions to incorporate into your itinerary. 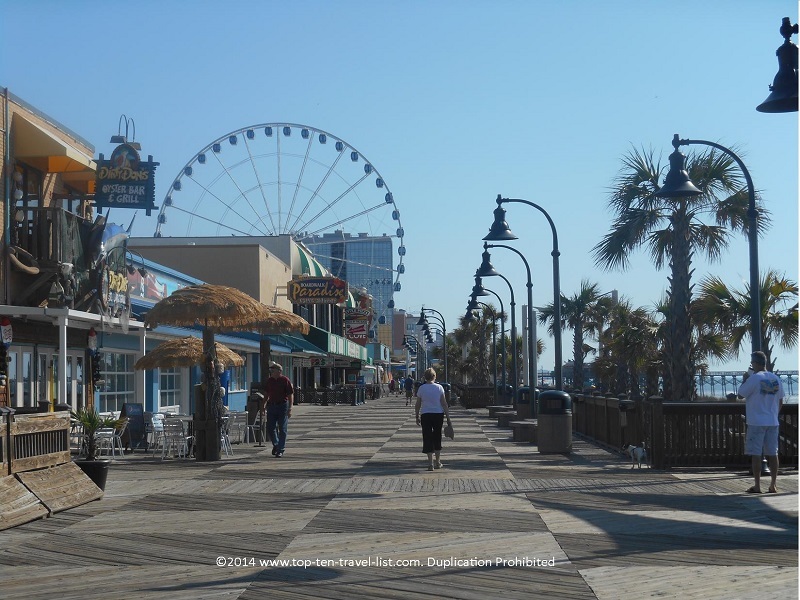 One of the best attractions is the newly completed (built in 2010) 1.2 mile oceanfront boardwalk. The boardwalk is perfect for a morning walk or bike ride (watch the signs as biking is only permitted during various times of the day). Along the boardwalk, you will find a handful of waterfront restaurants and unique shops. While strolling along the boardwalk, you must stop for a ride on the 187 foot high Ferris Wheel, one of the largest in the US. The views as you circle around in the enclosed gondola seats are nothing short of amazing. 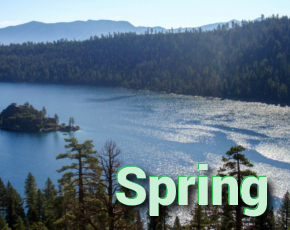 Check out a few of the beautiful panoramic views you will experience during your ride. As you can see, there is no better place to photograph the beautiful Myrtle Beach coast. A small price to pay for such an amazing experience! 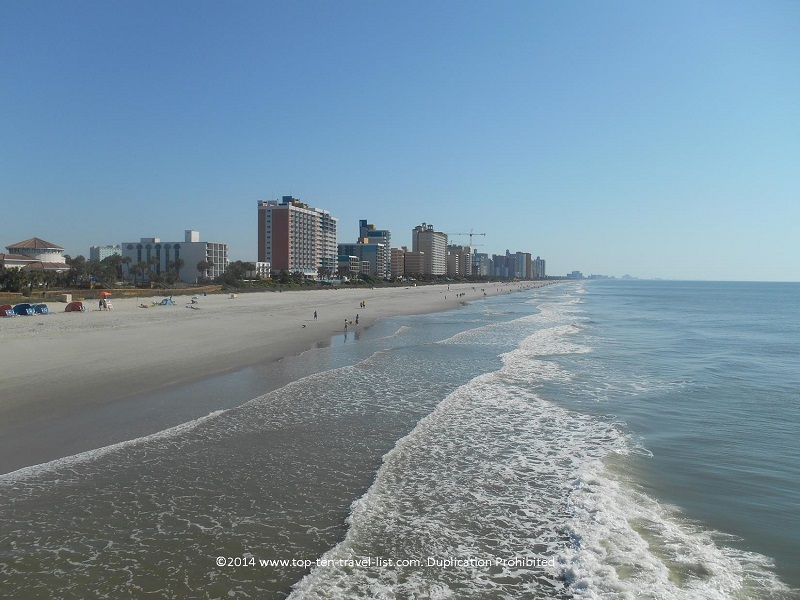 There are so many things to do in Myrtle Beach that you wouldn’t possibly be able to cram everything into a single trip. Whether you are looking for a laid-back beach vacation or an entertaining summer trip, you are bound to have a memorable time. The beaches here are not only stunning, but also diverse, offering opportunities both for relaxation and recreation. *Take a morning stroll along the beach. Enjoy a beautiful sunrise with the absence of the afternoon crowds. Take advantage of the cooler temps and gorgeous views. If you arrive early enough, you may even catch a glimpse of a dolphin swimming along. *Take a walk down Pier 14. 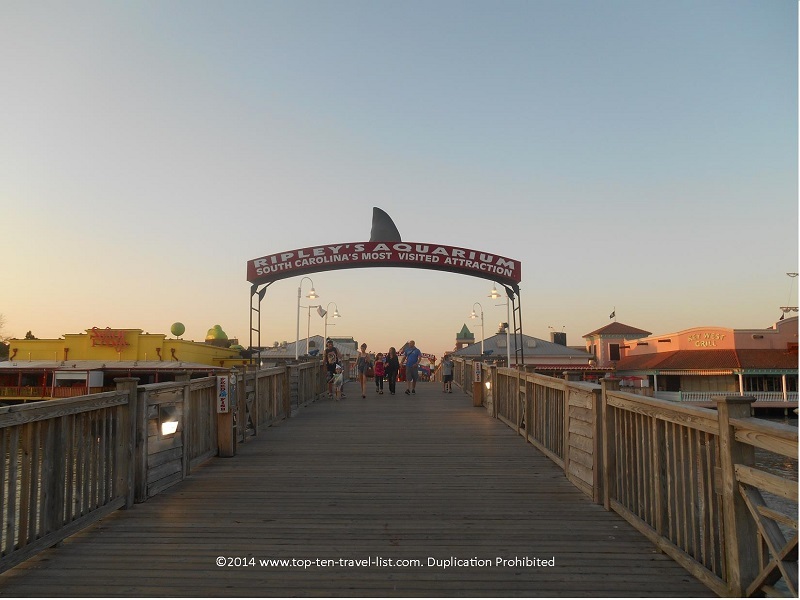 A walk down this scenic pier provides some of the best views of the beach and boardwalk. You can also visit the Pier 14 Restaurant for a great seafood lunch/dinner in a cozy waterfront setting. *Enjoy a seafood dinner at one of the areas many waterfront dining options. Sea Captains House and Ocean Front Bar and Grille both offer outdoor seating with fabulous views. *Check out Broadway at the Beach, the best shopping and dining destination in Myrtle Beach. Here, you will find all the familiar themed tourist restaurants such as Hard Rock Cafe, Planet Hollywood, and Jimmy Buffett’s Margaritaville. You will also find a selection of shops, bars, and attractions. 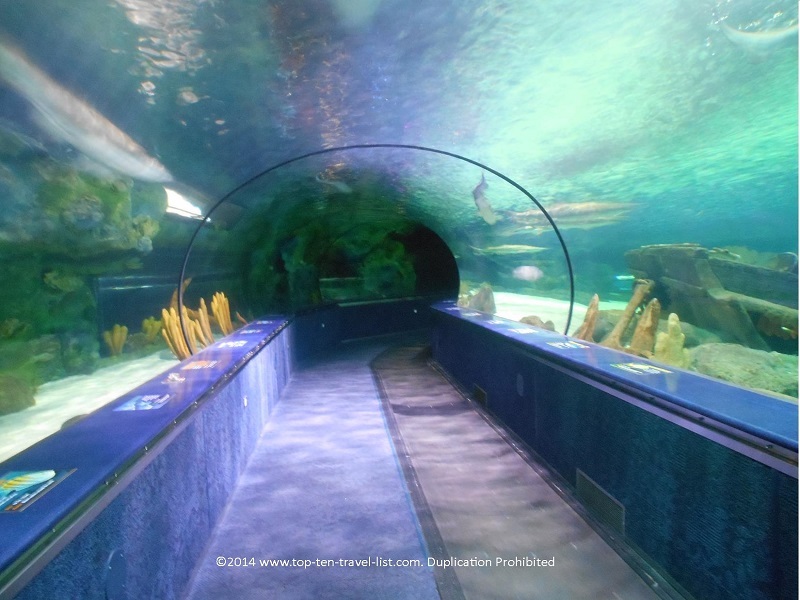 The must-see attraction (if you only have time for one) is Ripley’s Aquarium, “South Carolina’s most visited attraction.” The highlight here is the amazing 300+ foot tunnel that you walk underneath as you view the sharks and other marine life swimming up above you. A really cool experience! *Plan an evening at a unique show. Myrtle Beach has no shortage of interesting entertainment options. There is always something going on no matter what time of the year you visit. The Carolina Opry, Legends in Concert, Medieval Times, and Pirates Voyage Dinner Adventure, are just a handful of the current shows available. A show is the perfect nighttime activity after a full day spent at the beach. Take some time to relax and recover from all that time spent in the sun! Other interesting activities to add to your itinerary: dolphin and sunset cruises, Myrtle Waves Water Park, mini-golf (there are dozens of options), water sports (para-sailing, kayaking), and scenic helicopter rides, just to name a few. 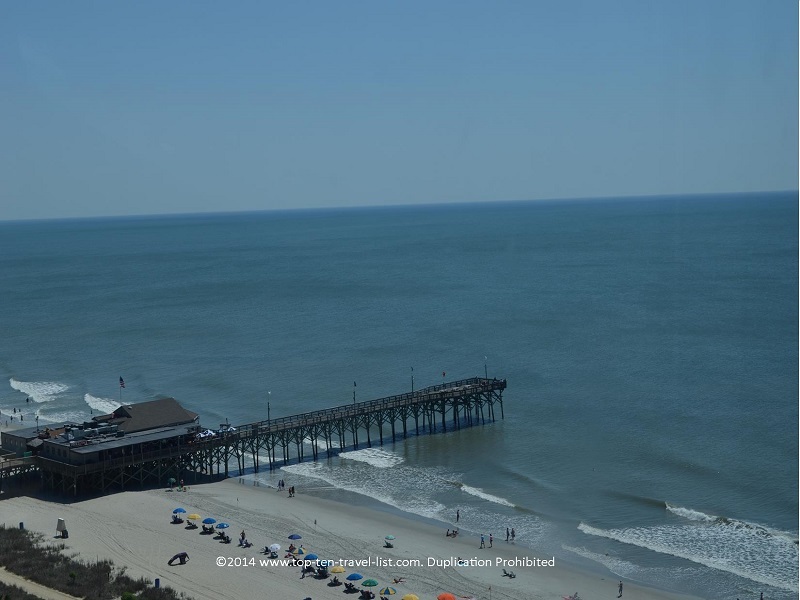 Where to stay: Myrtle Beach offers plenty of lodging options for any budget,ranging in price from $50-60 for your basic 2 star motel/hotel to several hundred for the luxury resorts. A great mid range option is Island Vista Resort, a luxury all suite resort located directly on the beach. Amenities include: indoor and outdoor pools, a lazy river, spa services, and an excellent waterfront restaurant called The Cypress Room.